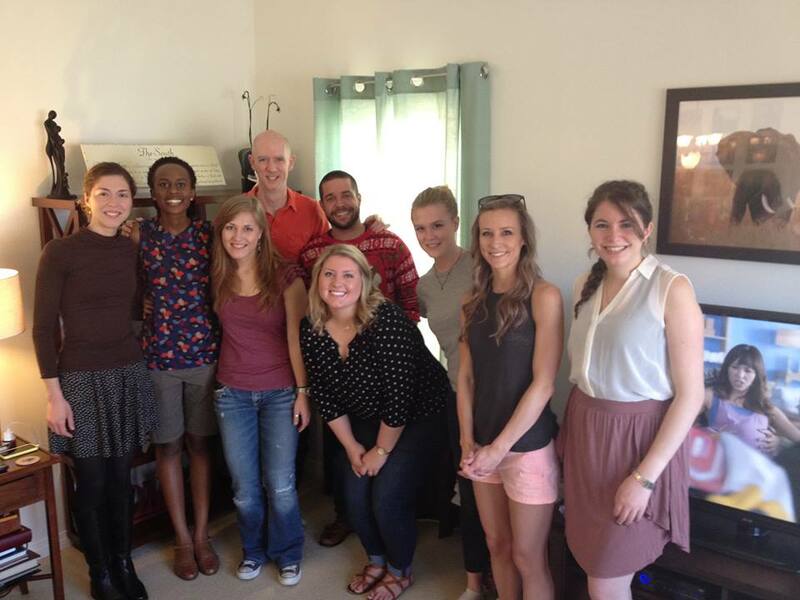 Enjoyed having seven law students and one law alumna join our family and friends for Thanksgiving dinner yesterday! I am thankful to be a part of a rigorous academic endeavor where brilliant professors and talented students view “service” as central to the academic enterprise. In fact, the mantra for all of Pepperdine University is that we are preparing students for lives of purpose, service, and leadership. 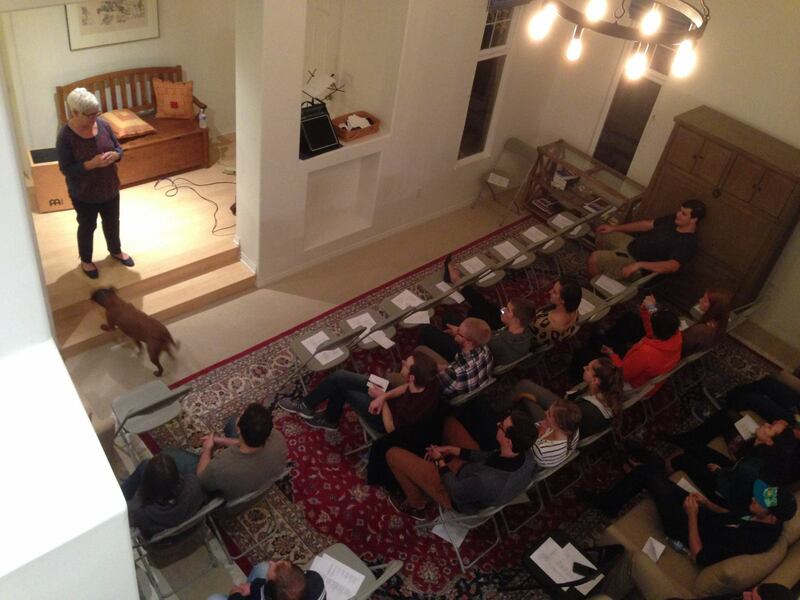 Pictured above is one of my favorite student organization events each year. 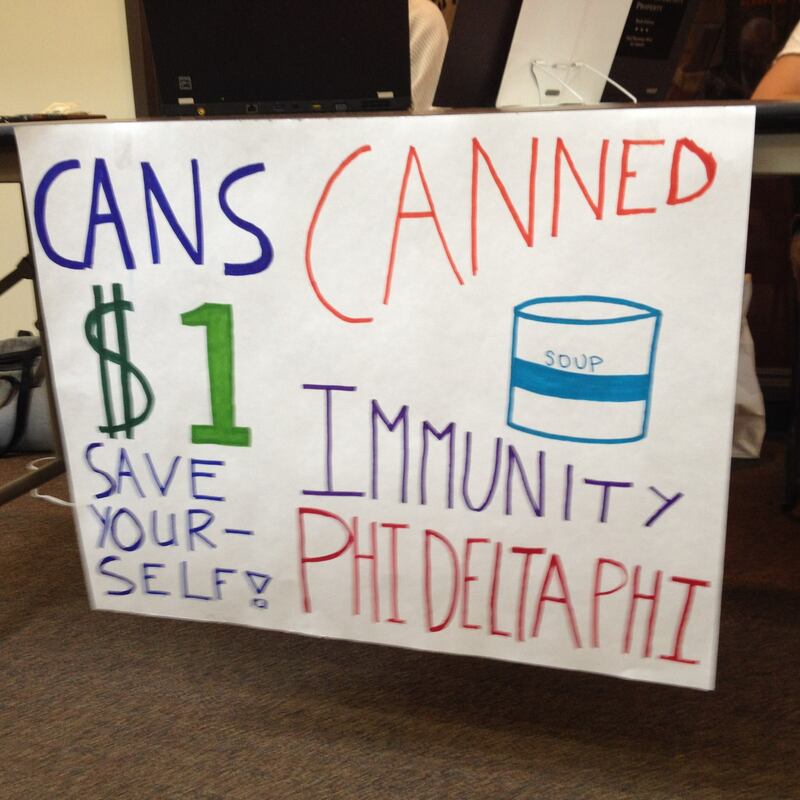 Phi Delta Phi, an academic fraternity and one of our student organizations, hosts “canned immunity” just prior to Thanksgiving each year to collect food for a local food bank. The genius is that students bring canned goods to donate, and if they have a can with them in class, they are immune from being called on by the professor. However, in another stroke of brilliance, the professor can “match” the student’s can to remove the immunity — which often leads to an arms race in canned goods that raises more and more food for those in our community who are in need. I love it. 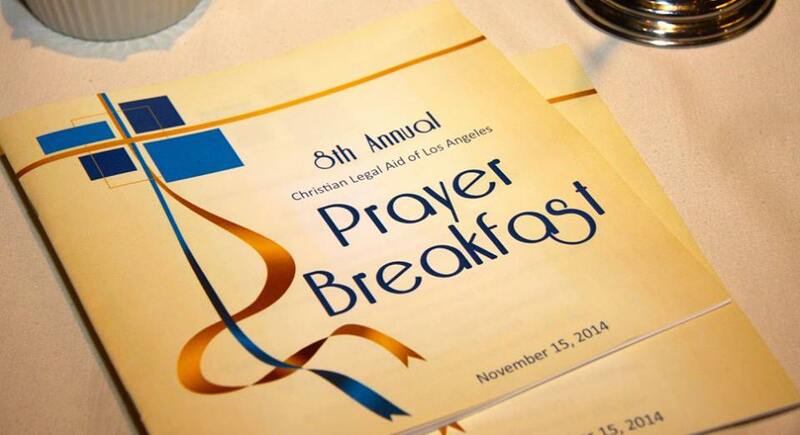 My wife and I had the pleasure of attending the 8th Annual Prayer Breakfast for Christian Legal Aid of Los Angeles last Saturday in downtown Los Angeles. Pepperdine was represented everywhere. The registration tables were staffed almost entirely by Pepperdine students. Sarah McKendricks, CLA-LA’s executive director, is a Pepperdine alum, and Sarah replaced Jessie Fahy, another Pepperdine alum who now serves as our Director of Alumni Relations at the law school. We sat at a table hosted by Stephanie Brown, one of our great 3Ls, who was given an award for her wonderful volunteer work at CLA-LA. It was a fantastic morning! In the Ninth Circuit Appellate Advocacy Clinic students represent indigent clients as court-appointed counsel in briefing and arguing appeals before the federal Ninth Circuit Court of Appeals. Students evaluate strategy and legal issues, research intensively, write and submit appellate briefs and present oral arguments before the Ninth Circuit Court of Appeals. You can actually watch their argument HERE. They are third on the docket (beginning at 1:25:30). 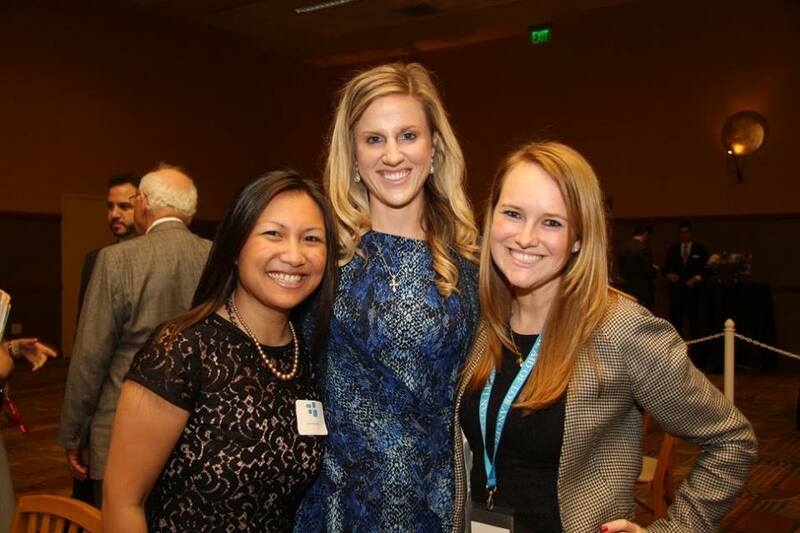 Congratulations to Katelin and Sarah for representing Pepperdine so well, but more importantly, for representing their client so well. I’m not sure how many thousands of people work in legal education, but our very own Professor Paul Caron was named to a list of the 25 Most Influential People in Legal Education by the National Jurist. 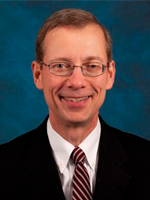 We are so honored to have Professor Caron as a member of our faculty! 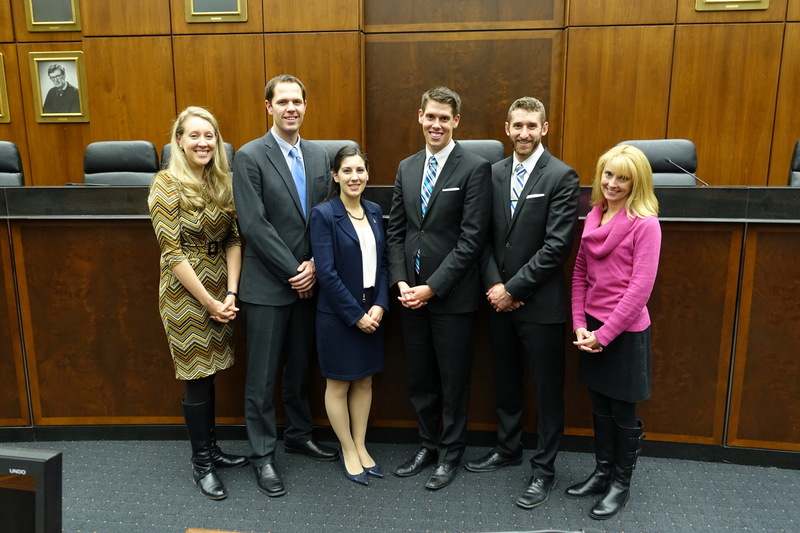 We had three teams compete in moot court competitions this weekend, all of whom did very well! 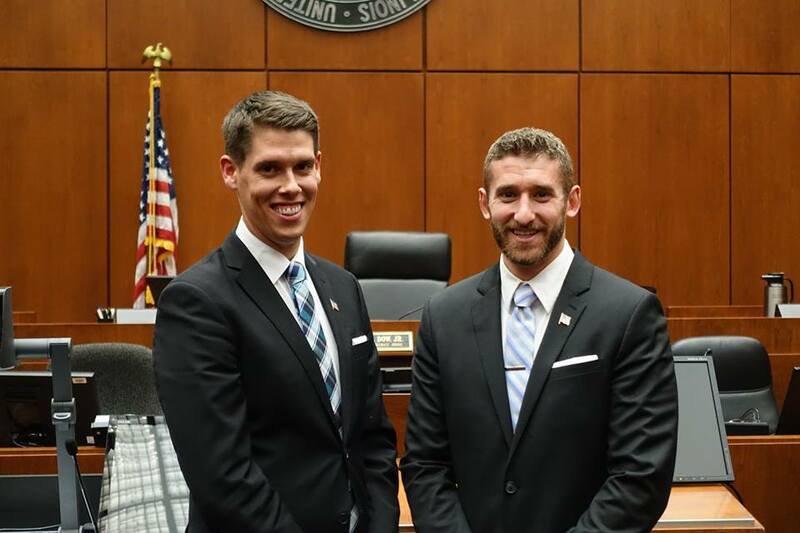 At the Chicago Bar Association Competition, Scott Sasser and David Moreshead came in second place overall. It was a great final round! Melissa Cerro and John Niemeyer made it to the quarter-finals, as well. At the National Veterans Law Competition in Washington, D.C., Emily Suhr and Lindsay Johnson made it to the semi-finals, won runner-up best petitioner’s brief, and Emily was named second best oral advocate. If you see any of these students this week, congratulate them! Thanks to all of you who helped our teams prepare for these competitions. I am especially grateful to [Professor] Ann Ching for coaching the veterans law team and alum Heather Burgess Johnston for assisting me with coaching in Chicago. Patty Hayes, as always, made everything run smoothly. Finally, many thanks to Dean Tacha for her support and for helping us secure special funding to have a presence at the Veterans Law Competition. From all reports, it was a great competition and aligns well with our veterans initiatives. We have now completed our fall competitions, and it will be an even busier spring. 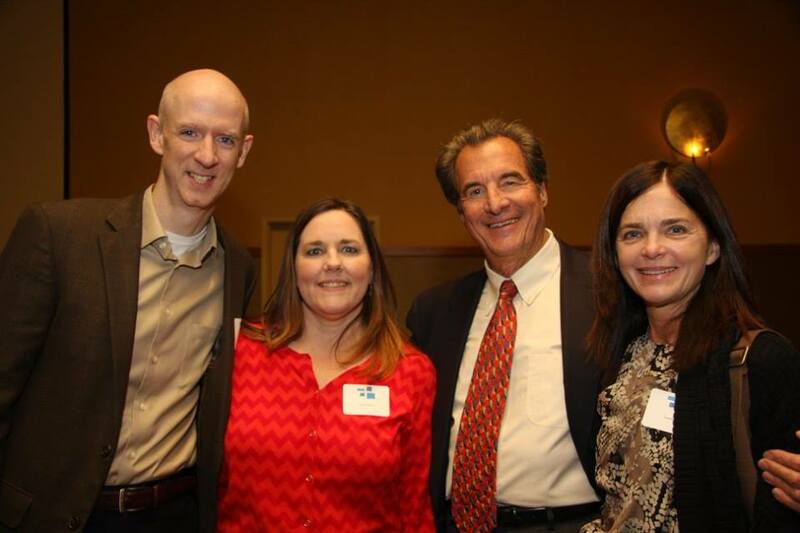 Thanks for continuing to support our advocacy programs. Runners-Up in Chicago: David Moreshead and Scott Sasser!